Like perhaps no other couple in this world, Magali Delgado and Frederic Pignon have strived to live their lives in perfect partnership with their horses. It was this essence - in combination with their genuine talent, unquestionable integrity, and immense appeal - that captured the hearts of audiences around the globe when they and their horses toured as part of the original cast of Cavalia from 2003 to 2009. Now, in the eagerly awaited follow-up to their bestselling book Gallop to Freedom, Magali and Frederic welcome us to their home in France. There, the stable doors are thrown open, and we are invited to share all that they've discovered in both the hands-on and more delicate, intangible areas of horsemanship. The remarkable result is a book that offers a series of practical and ethical guideposts to help us build an honest, open, happy life with horses. 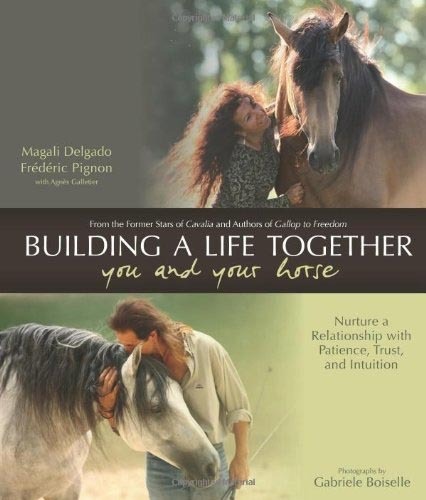 Magali and Frederic's words, their lessons, and hundreds of emotionally charged photographs by internationally renowned photographer Gabriele Boiselle provide deliciously enlightening glimpses into the kind of relationships we all dream of having with our horses, and with each other.